This is a 7-day meal plan with a grocery shopping list that includes simple, plant-based recipes that are dairy free and gluten free! 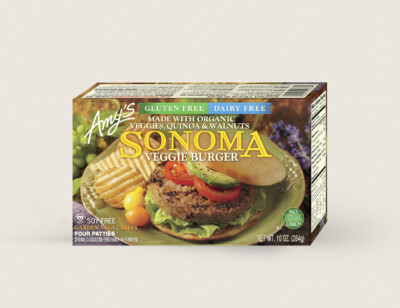 Each day we've included an Amy's product that is also dairy free and gluten free to make eating well quick and easy! Because nutrition is not one-size-fits-all, please adjust recipes, ingredients and quantity to meet your personal dietary needs and preferences. 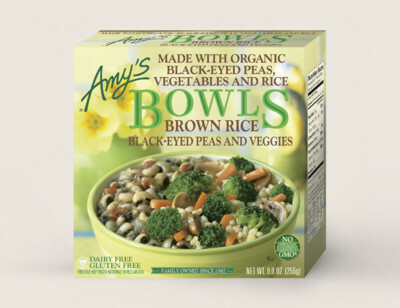 We'd love to see your creations so please share with us on social media using #AmysKitchen and #HealthyGroceryGirl! 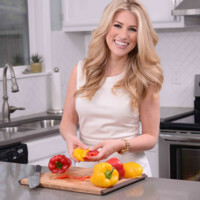 Megan Roosevelt is a Registered Dietitian Nutritionist, founder and CEO of Healthy Grocery Girl® and the host & producer for the #1 Family Friendly Dietitian Channel on YouTube with over a million total views. Add oats and water into a stovetop pot on medium heat and bring to a boil. Reduce heat to a simmer and let cook for 5-10 minutes, stirring occasionally. Using a microplane, zest the outer layer of the orange. Be careful to avoid the white layer underneath which tastes bitter. Add oatmeal to a bowl and top with peeled orange segments, cashews (roughly chopped), chia seeds, shredded coconut, optional maple syrup and orange zest. Enjoy! Add all pudding ingredients into a small jar or container and mix together with a spoon. Cover and place in the refrigerator for 2 hours or overnight. Top with diced apples, walnuts and an additional sprinkle of cinnamon! Preheat oven to 425°F. Peel, dice and boil the sweet potatoes. Add coconut oil into a stovetop pot on medium to high heat. Then add in onions and let cook until translucent, stirring occasionally. Add in celery and carrots and cook for 2-3 minutes, stirring occasionally. Then add in lentils, rosemary, cloves, garlic, sea salt, pepper and vegetable stock and cook until carrots are soft. Meanwhile, add the boiled sweet potatoes into a blender with coconut milk, sea salt and pepper and blend until thick and creamy. Add lentil pie mixture to the base of a casserole dish and top with the sweet potato mixture. Bake in the oven for 10-15 minutes. Then enjoy! Add all ingredients into a high-speed blender and blend for 20-30 seconds until creamy. Enjoy! Preheat the oven to 350°F. Add chickpeas, coconut oil and sea salt onto a baking sheet and bake for 25-30 minutes. Next wash and chop up the kale for the salad. Add lemon juice onto kale and massage until kale is soft (or softer). In a small blender add olive oil, roasted garlic, tahini and sea salt and blend together. 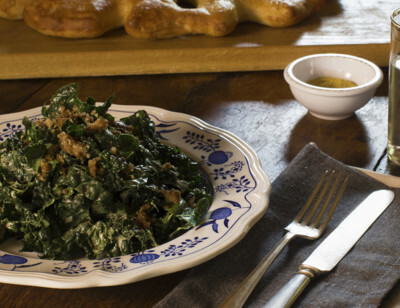 Pour salad dressing onto kale and toss together. Top kale salad with crispy chickpeas, croutons and capers and enjoy! Prepare pasta according to package instructions. Bake veggie burgers according to package instructions then dice. Heat pasta sauce on stovetop. In a stovetop pan add coconut oil and broccolini and sauté for 5-10 minutes until tender. Add pasta noodles to bowls and top with pasta sauce, diced veggie burgers, hemp seeds, fresh basil and serve with a side of broccolini! Wash and slice celery and enjoy with peanut butter as a dip. Don’t like peanut butter? Try sunflower seed butter or almond butter instead! In a medium bowl add chickpeas and mustard and mash together with a potato masher. You want the chickpeas to still be chunky yet not perfectly round. Don't over-mash or you will end up with hummus! Add in onions, carrots, sea salt and pepper and stir together. 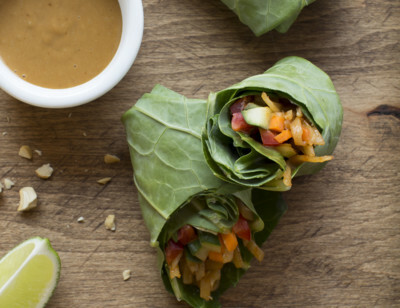 Spread the chickpea mash inside a tortilla with sliced cucumber and spinach, fold or roll and enjoy! Add oats, almond butter, dates, cinnamon and vanilla extract into a food processor and pulse together until a sticky batter forms. Then add pumpkin seeds, cranberries and sea salt and pulse together shortly to roughly chop/mix in the final ingredients. Press batter into a dish, cover and let set up in the freezer overnight. Slice into bars or squares and enjoy! 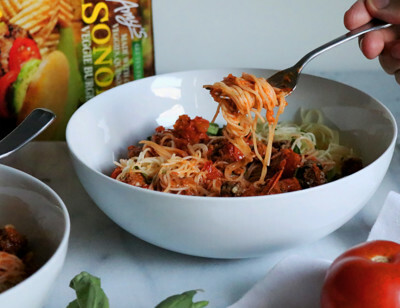 Store in the freezer and enjoy within 2 weeks. Tip: Line dish with parchment paper with excess paper hanging over the sides. When bars are ready, grab hold of the paper to "pop" them out from the dish. Then cut into bars. To make sweet potato fries preheat the oven to 425°F. Dice sweet potato in french-fry size pieces. Place on a baking sheet and drizzle with coconut oil. Align fries on baking sheet so they do not touch (this will help them crisp) and sprinkle with sea salt. Bake in the oven for approximately 25-30 minutes. To make "cheese" sauce, soak cashews overnight in water then drain and rinse well. Add soaked cashews into a blender or food processor with fresh water and all of the ingredients listed above to make the sauce. Heat Amy’s Chili in a medium soup pot over medium heat. On a plate assemble sweet potato fries: top with Amy’s Chili and a dollop of cashew "cheese" sauce. Optional, enjoy with a side salad! In a small dish add ground flaxseed and water, shake or stir, and let set for 3 minutes. Then add all ingredients, except for the apple, cinnamon and maple syrup, into a blender and mix for 15-20 seconds. Pour waffle batter into a waffle maker. Meanwhile, dice the apple and add to a medium size bowl. Sprinkle with cinnamon and mix together. Top waffles with cinnamon apples and drizzle with maple syrup. 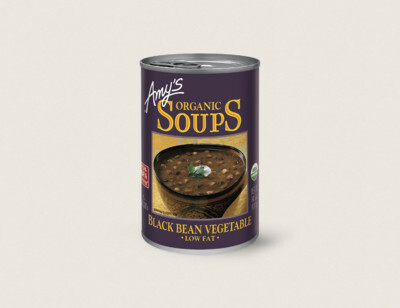 Add almond or peanut butter for a boost of protein (optional). Prepare pizza according to package instructions. 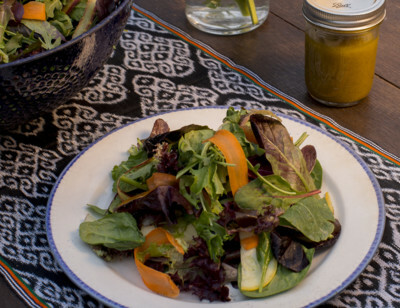 To make salad dressing, add all ingredients into a mason jar, secure lid and shake together. 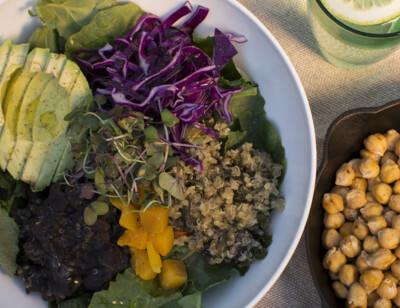 Drizzle salad dressing over salad ingredients in a medium size bowl, toss and serve! Heat soup in a stovetop pan over medium heat. Toast bread and top with slices of avocado, a pinch of sea salt and a pinch of red chili flakes. Cook quinoa according to package instructions. On a baking sheet add chickpeas, Brussels sprouts and carrots then drizzle with coconut oil and roast for 30 minutes. Vegan Kale Caesar Salad with Veggie Burger "Croutons"